It has been our pleasure to put together a portfolio of some of the very best home audio brands in the world. 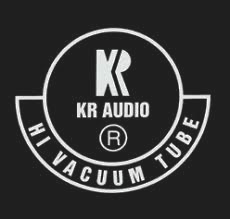 We're proud to be the only Scottish dealers of many well-known manufacturers such as Audio Note UK, Lyngdorf Audio, LampizatOr, German Physiks and TAD Labs. We've also brought some less well-known but equally exquisite brands to Scotland for the first time, such as Brodmann Acoustics, Creaktiv Furniture, COS Engineering, Encore 7, Fezz Audio, hORNS by Auto-Tech, Kennerton Headphones, Opera Loudspeakers and Pre-Audio Turntables. From portable audio to monumental speakers, hifi separates to systems, turntables to streamers, and a whole lot else besides, we offer a range of products representing the very best quality at a variety of price points. From high-quality entry-level systems to artisan creations beautifully handcrafted using the very best materials, all offer excellent value for money and are made by companies built on a passion for music and audio reproduction. NOVAFiDELITY's X-Series of network streamers/music servers/CD rippers are some of the most feature-rich music servers in the world, incredibly versatile all-rounders, and offer superb value for money. Founded in Texas in 1993, Benchmark Media are industry leaders with their wide-bandwidth, low-noise, low-distortion designs. Their products are key components in many of the finest recording studios, and are also found in many high-end home systems. Lyngdorf Audio was founded to protect, preserve, and replay pure sound. Their products exist for one purpose: to provide systems that render audio exactly as the musician and sound engineer intended. German Physiks is a German company specialising in omnidirectional speakers. Can’t see a name you’re interested in? We may still be able help with that brand. Give us a call (+44 (0)131 2219753) or drop us an email (info@audio-philia.co.uk).